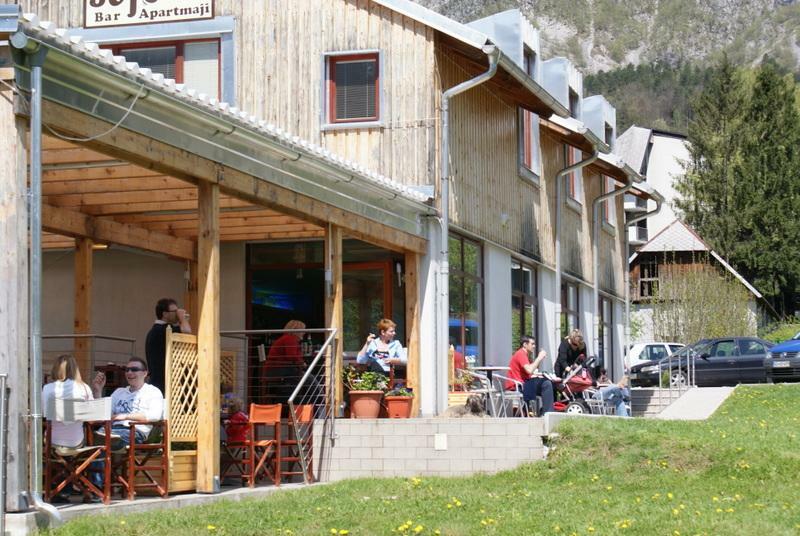 Apartments "Jojo" offer you comfortable stay and relaxation after many activities Bovec valley can offer to You. 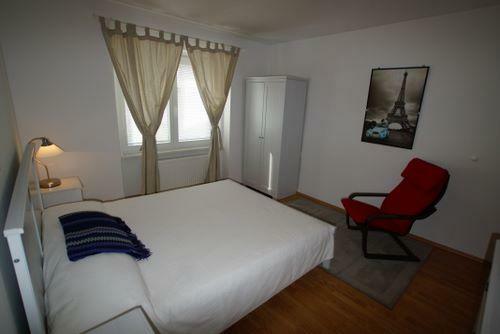 Apartments "Jojo" - perfect choice for your stay. 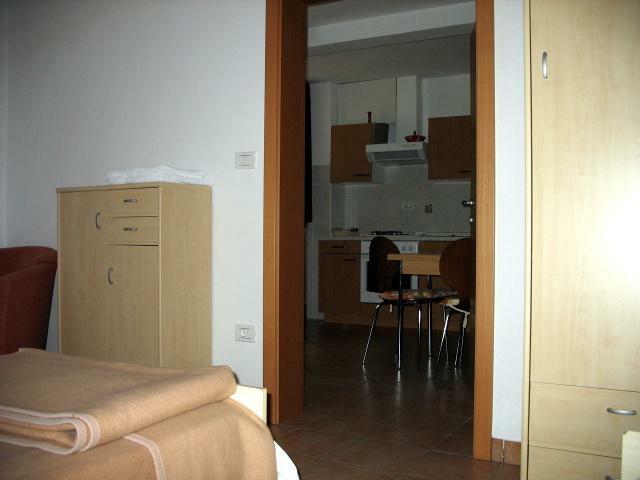 Apartment offers you acomodation for 4 - 6 persons, if you prefer also less. 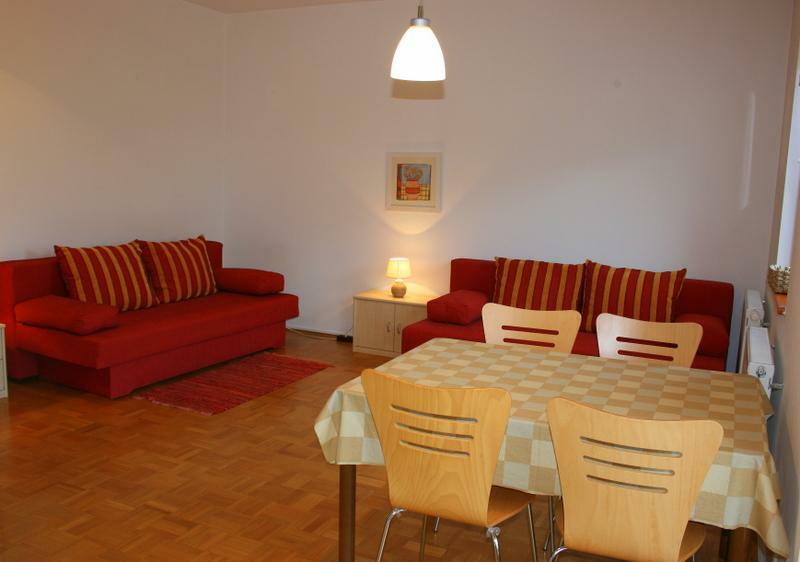 As there are two apartments in our house it is a perfect place for groups or families. Spacious living room offers you pleasant moment with your company, friends or family. Experience playing cards, monopoly or just pleasant moment while reading your favourite book. You won't regret it. In it you will also find a cable TV. We can connect you a telephone on demand. If you have some obligations for work or you need to check your e-mails regularly, Wi-Fi internet connection is available. Sofas can expand into two beds, especially attractive for kids. 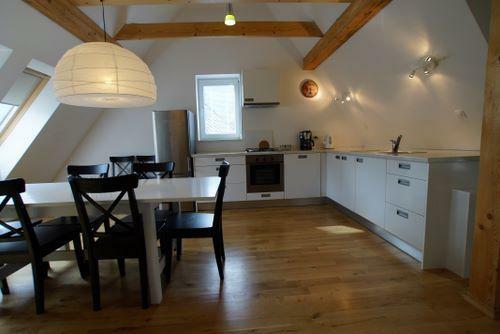 Kitchen from which you can enjoy views of the mountains offers you prepartion of meals - there is an oven, cook, refrigirator and freezer - all you will need. We are certain that a cup of morning coffee in our apartment with a view to the mountains will be kept in your memory for a long time. If you would like to be more comfortable, you can get your morning coffee in our bar and your meals at many restaurants in town. 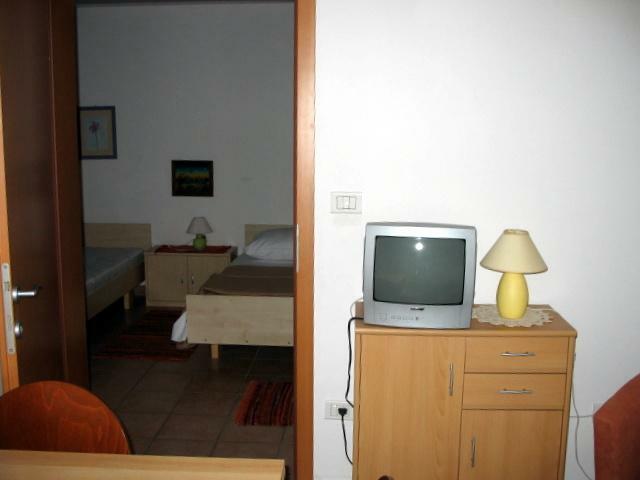 We can also offer you breakfast and dinner in Hotel Kanin - Bed and breakfast or Half-Board. On the top floor you will find two open bedroms with two double beds. 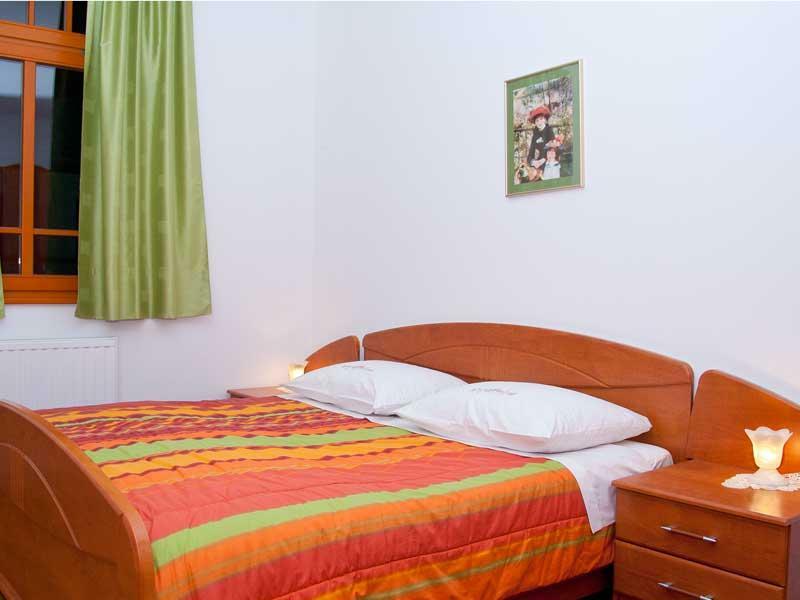 Our apartments are located just 80m from town center. But don't worry - apartments are on peacefull location with outstanding views. Of course all of our guests want to make some new experiences and activities. 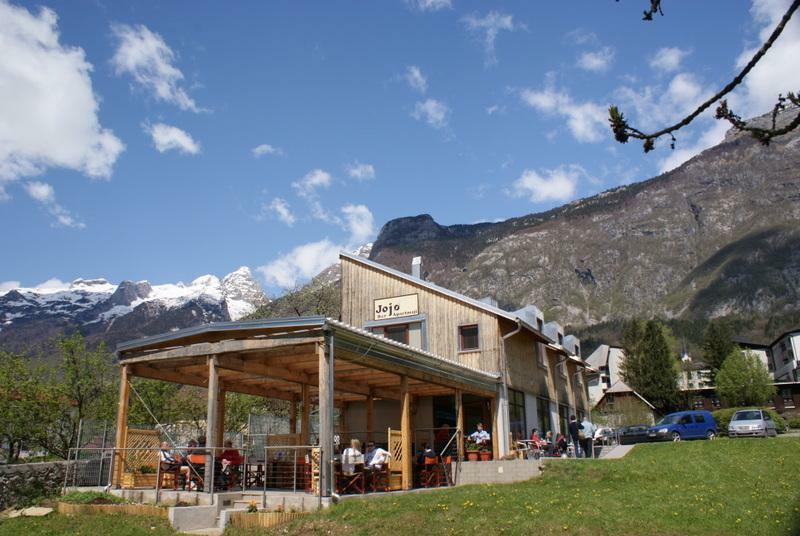 And Bovec can offer you exactly that. Nature lovers will enjoy every single moment. Water sports on the emerald Soca river, mountaineering, hiking, walking and mountainabiking are just a few among all the possibilites nature here can offer to you. If you need any suggestion for your activities we will be glad to help you. We can also arrange you excursions with mini-buses ( 8 persons ) to Goriska brda wine growing region or lake Bled. Apartment is categorized with *** stars. 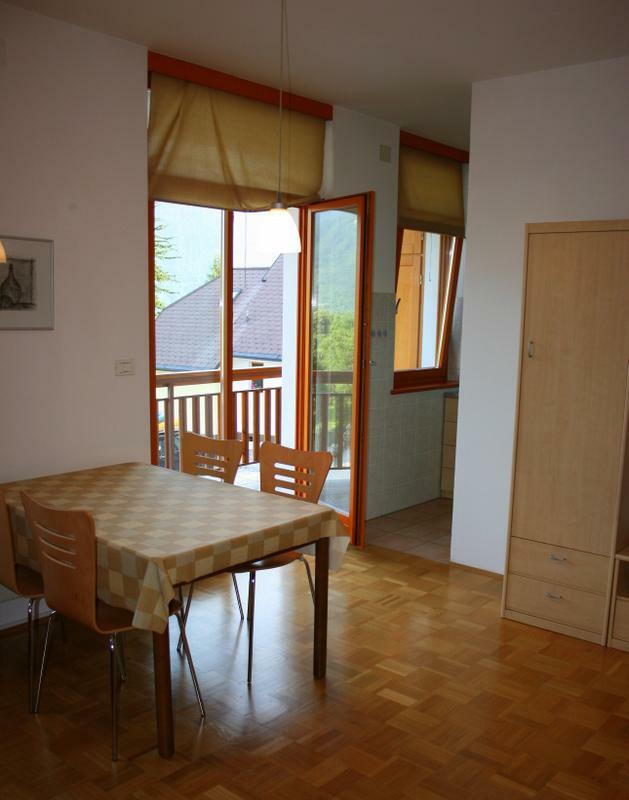 Groups of friends, families that love socializing, people that like to have everything nearby while at the same time enjoying the pleasure of privacy in the actual centre of Bovec can chose to reside in the new apartment complete with its own parking lot. 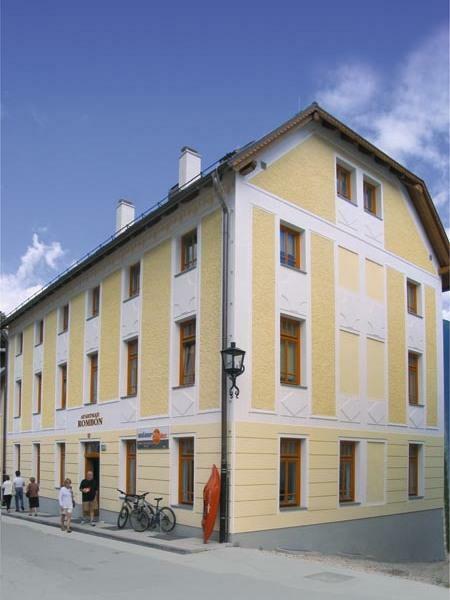 Since the apartment house is located in the centre you can enjoy all the beauty and adventures of Bovec on foot or by bike - without a car! Close to the apartment house there are restaurants, inns and shops. 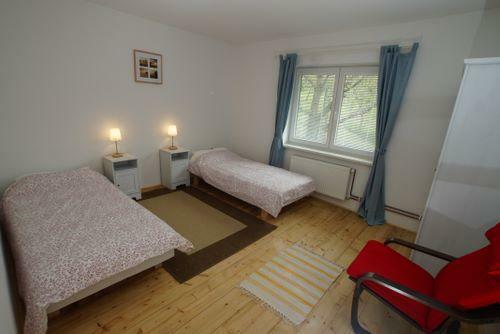 Apartment with one bedroom, has three beds in it. Therefore it can accomodate up to three person. Inliving room there is also kitchen line. Apartment has bathroom with shower and WC, television with CaTV connection. 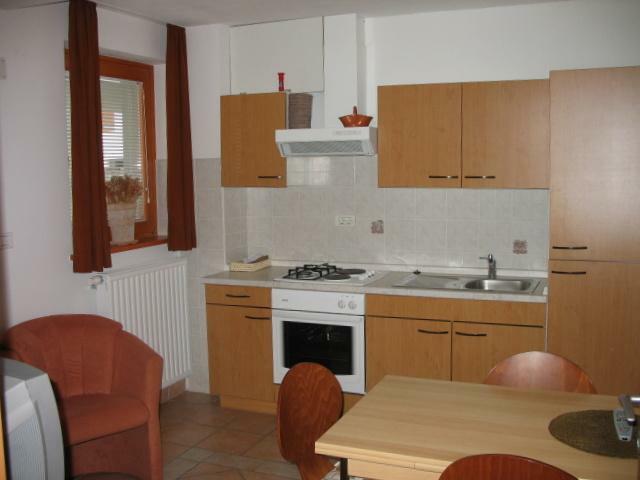 Studio apartment Sonček (Sunny) is located in apartment village Kaninska vas in Bovec. 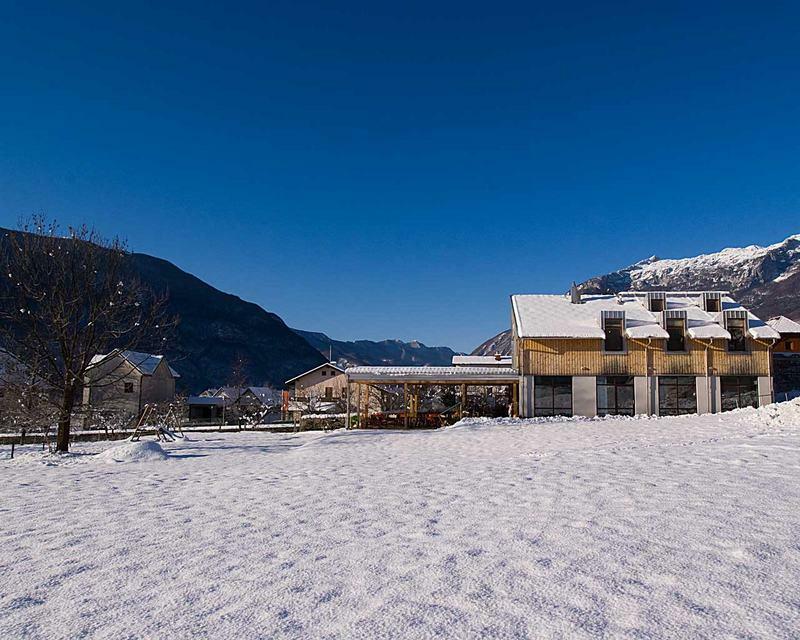 Located on a slopes above the Bovec valley, only 5 minutes walk from town center, gurantees views to surrounding mountains directly from this apartment in Bovec. 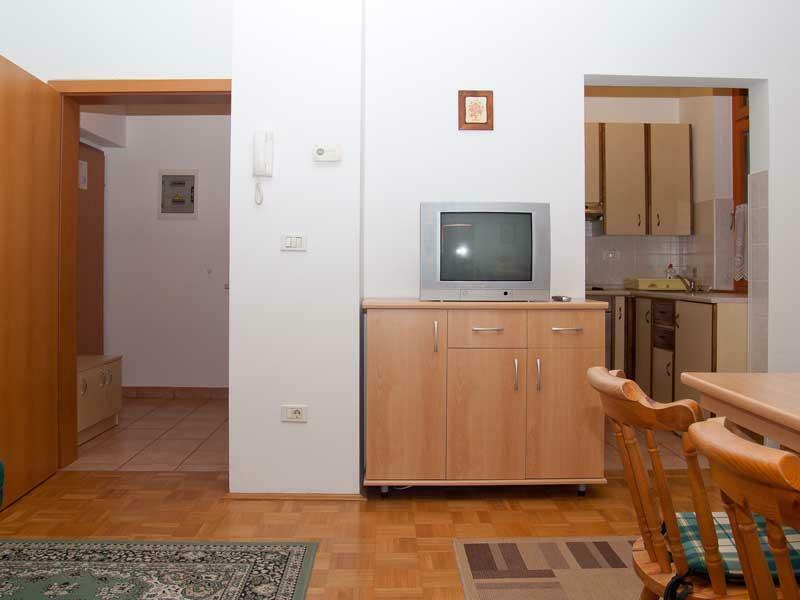 In the apartment village Kaninska vas you can find enough parking place for your car if needed. Apartment can accomodate up to 3 persons on sofa bed, that converts into bed, and on one supporting bed. 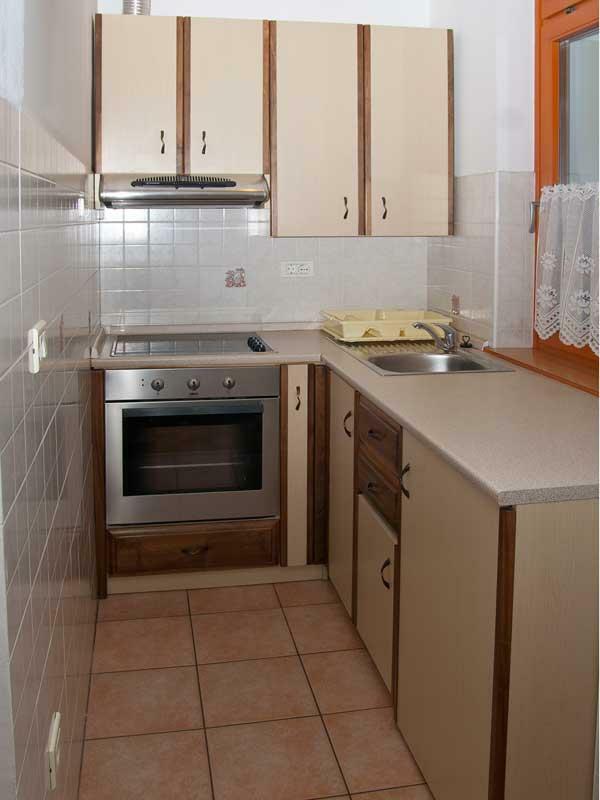 It has equipped kitchen line where you can prepare your own meals. You will also find television with cable connection. Apartments has it's private bathroom with bath and WC. 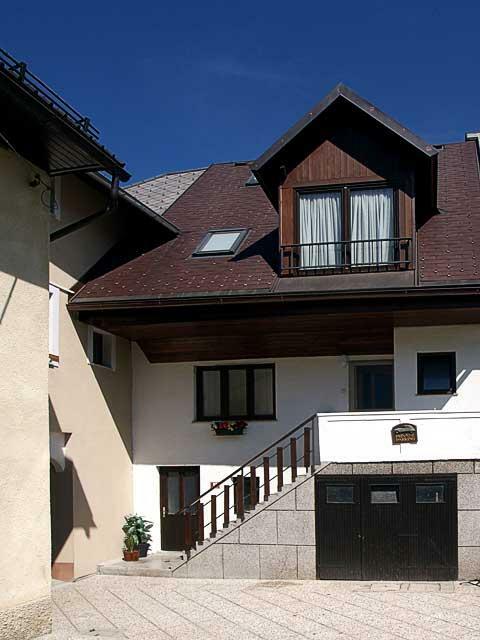 Typical Bovec house in a series of houses, in old part of town. 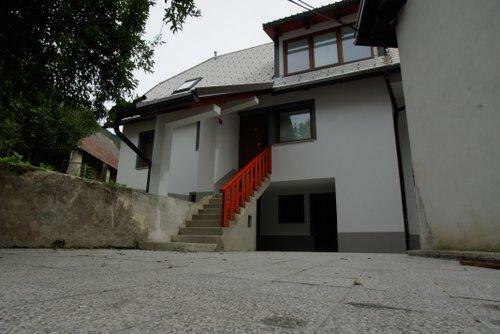 The house is completely renovated from Top to bottom. On the first floor you will find two bedrooms. One with twin bed, second with two single beds. On the same floor there is also a bathroom with shower and WC. 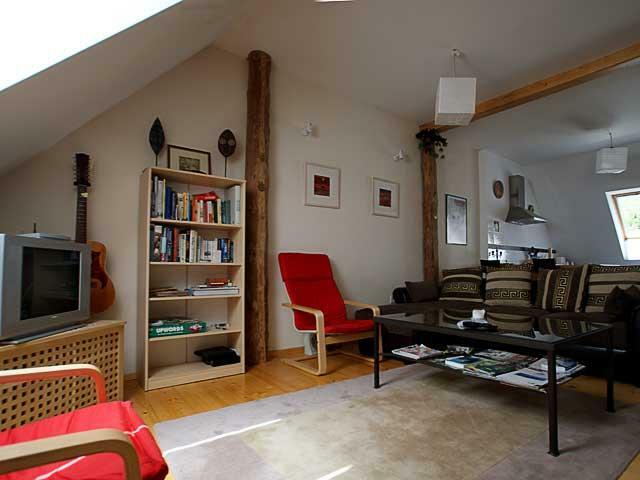 In second floor there is a large living room with kitchen and dining corner. 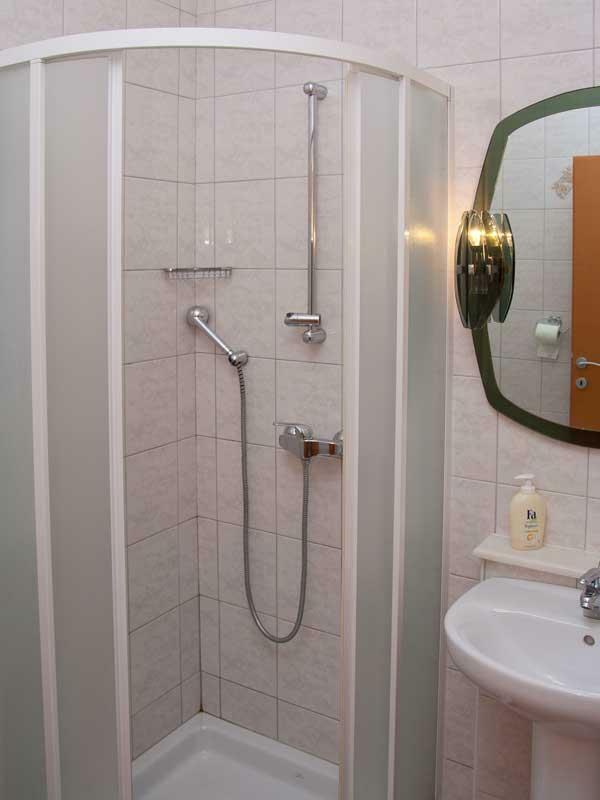 There is also a main bathroom with shower/bath and WC. On the top floor there is a 3rd bedroom. The house can acommodate eight guest at most. It has bycle, kayak and other sport equipment storage. At the front of the house there is a garden where you can make a barbecue.